McAlister’s Deli began with a simple idea – hearty-size portions of handcrafted deli fare, served fast with Genuine Hospitality. Founded in 1989 in a converted gas station in Oxford, Mississippi, McAlister’s quickly won over customers with personal service and great food. 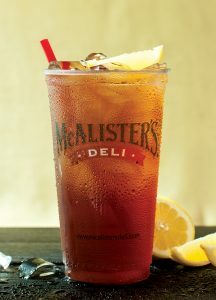 Today, there are more than 400 McAlister’s throughout the U.S. serving up made-to-order sandwiches, fresh salads, Giant-sized spuds and delicious sweet tea, in an environment that provides guests a community gathering place and invites them to relax and stay a while. McAlister’s not only provides quality food made from the finest and freshest ingredients, but also outstanding guest fulfilment. As a result, we offer remarkable unit sales volumes and an attractive sales-to-investment ratio in the fast casual restaurant segment. McAlister’s Deli franchisees can rely on extensive support in all aspects of owning and operating their restaurants. The Support Team’s efforts range from development, marketing and operations to training, purchasing, IT and much more. Highlights include: a hands-on, immersive franchisee training with on-the-job experience in a successful, high-volume McAlister’s Deli restaurant; a comprehensive system-wide approach to advertising, marketing and promotions provided by a team of marketing and communications experts; ongoing support and guidance with periodic visits from McAlister’s Deli franchise business consultants to help each franchisee realize success. 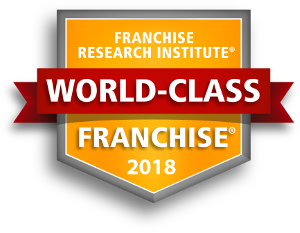 No matter where a franchisee is at in their experience, the McAlister’s support team is always available to offer support on each and every aspect of day-to-day operations. units. The franchise fee is $35,000 for each unit. Depending on the real estate site selected, the total cost of investment varies. "I like the responsiveness and care of the current President and current Franchise Business consultant. They are both good people who want to the their best for franchisees. The menu is strong and appeals to a wide variety of people." 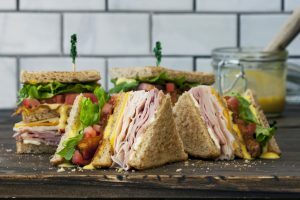 "The McAlister’s Deli brand has tremendous strength, appeals to a wide variety of customers and still has much opportunity." "They provide direct communication and are always available when assistance is needed in the field." "The New Leadership team...They are always available and make time when you need to speak. This alone is easily the best part about the brand!" To obtain your FREE report about McAlister's Deli, please fill out the form here.